Even as malaria remains prevalent in Nigeria, the counterfeiting of anti-mosquito nets remain on the increase, exposing more citizens to the deadly effects of malaria. Despite repeatedly receiving anti-mosquito nets, Remi Olatunde knew next to nothing about deploying or maintaining the malaria-preventive covers. When she got new ones from the hospital or shops, the nurses or sellers had no useful information to help her. Each night, she set the nets up her way, and not being able to write or read instructions, she ended up exposing herself and her children to deadly mosquito stings. So when she gave birth this year, and was given another net at the Mascara Primary Health Centre, Ketu, Lagos, Mrs Olatunde pressed a nurse for clear instructions on how to use it. The nurse asked her to leave the net outside for an hour before setting it up. “All I was told is hang it on the ceiling and enter under it in the night, she didn’t tell me how to set it up” she recalled recently, speaking in Yoruba. On how to clean the net when soiled, the nurse advised her to wash it the way she washed her baby’s clothes. That night, her toddler nearly died, gasping for hours to breath inside the net that appeared over-treated. Mrs Olatunde managed to pull the kid to safety in time, ripped off the net and ended with terrible skin rashes that lasted over a week. The net that almost landed the Olatundes in trouble may have been one of the millions counterfeited by crooked dealers, who, in connivance with dubious government officials, steal government-treated nets and replace them with fake stocks to avoid detection. Months of investigation by PREMIUM TIMES has shown the risk faced by millions of Nigerians in using covers that should protect them from malaria, but that are increasingly hazardous as many are counterfeited by hawkers in a large-scale illicit trade. Without adequate control and monitoring by the authorities, more and more vendors have joined the trade, buying the free products cheaply from government storekeepers and selling them to millions of unsuspecting Nigerians, our investigations show. When the government occasionally clamps down on the network, like a recent jailing of two health workers, sellers not wanting to allow the illicit markets die, resorted to importation and purchase of fake mosquito nets which they pass off as treated and approved. The nets get to the public more than those provided by the government, as not only are the counterfeiters more accessible to Nigerians than health officials, they also produce what passes as “exact” same nets distributed by the federal government. The difference between the genuine and the fake nets can hardly be detected on the package as the counterfeiters produce nets with NAFDAC registration numbers got from original treated mosquito nets. There are two types in this category of counterfeited products: those bearing the FG’s nets with the embargo “not to be sold” and those without it, but having original NAFDAC registration numbers. “We produce these two types because some people prefer buying the ones with ‘not to be sold’. They feel that is the original one from government,” one dealer, Chibuzor Chimaroke, told a PREMIUM TIMES reporter who posed as a prospective partner. “Other people especially the educated people will not buy any net with ‘not to be sold’, so the other type is meant for those kind of people. We make sure it has NAFDAC numbers and our own manufacturers use authentic NAFDAC numbers so you don’t need to be afraid if you buy from us,” Mr Chimaroke said. A 35-year-old single father to five children from different mothers, Mr. Chimaroke is a secondary school dropout that has made good money running illegal businesses. He imports most of his own fake nets from China and gets a few from Upper-Iweka road, Onitsha. He is popularly known as “Chi Square” around Alaba International Market, a commercial hub in Lagos state, renowned for counterfeited products in Nigeria. Indeed, samples of the nets which Mr. Chimaroke showed PREMIUM TIMES bore “genuine” National Agency for Food Drug Administration and Control (NAFDAC) registration numbers when the numbers were sent to the agency for confirmation. Not only that, when compared with some of the government’s original nets, officially called Long Lasting Treated Insecticide Nets, LLINs, there was no obvious difference when the packages were compared. Some of the mosquito nets we sampled in markets within Lagos, Kaduna, Abuja and Kogi states, tallied with the NAFDAC numbers Mr. Chimaroke’s products carries. In a booming trade that involves a network of dealers, unlike Chimaroke, who produces fake nets with “original” registration numbers, Nnamdi, popularly known as Fine Boy- still in Alaba market, until recently, got his supplies from government officials and even health workers from different parts of the country. This partly explains why many of the government designated hospitals are frequently out of stock of the live-saving nets. Nnamdi said he re-strategized after some of his suppliers were nabbed. Trusting he was opening up to a co-dealer, he recounted how one of his government suppliers, who was caught in June 2011 in Asaba Delta state, was charged to court and sentenced in July this year. “This has affected my business as my other government suppliers are recoiling. I have no choice now but order from Onitsha,” he said. The two suppliers he was referring to are Mike Okonkwo and Tracy Finecountry, who were sentenced in July to 24 years imprisonment. Mr Okonkwo was head storekeeper while Ms Finecountry was his assistant. They had stolen 100 balls of treated mosquito nets valued at six million naira under the custody of Millennium Development Goals office Delta state, an offence punishable under section 390 (9) of the criminal code. Among the products sold by Fine Boy, which he buys from Onitsha, include Dolphin Net, PermaNet 2.0 and Long Lasting Insecticide Nets. 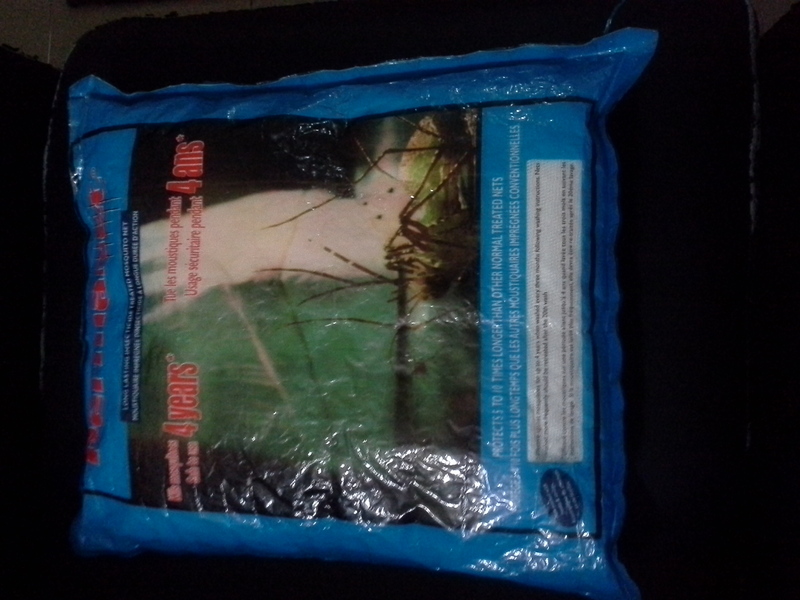 The Dolphin Net comes in a blue nylon pack and has no name, no NAFDAC registration number, no manufacturing date, expiration date or batch numbers which all original and certified nets ought to have. In the case of PermaNet 2.0, which bears A5-0415 as its registration number, NAFDAC records indicate the number belongs to PermaNet 3.0 treated bed net and not PermaNet 2.0. The fact that even government-distributed nets do not have registration numbers complicate the situation. That was confirmed by Adeline Osakwe, Director, Pharmacovigilante at NAFDAC. Fine Boy, and the likes, have since cashed in on that too. “Except you tell anyone or the nets are taken to a laboratory for testing, nobody can ever know they are fake,” he confided, seeking to convince the reporter to do business. The counterfeiters are spread across the country, but some of the most brazen dealers were found to be in Onitsha, Anambra state and Port-Harcourt, Rivers state. There, even inquiries as a prospective marketer, must go with a deposit fee. “This way, we are certain you want to buy from us and not waste our time” one dealer, Ufuoma Odogu, in Port Harcourt, said. Mr. Odogu is one of the major suppliers to other dealers in Port-Harcourt, Aba, Onitsha and Owerri. His operations are in two categories: purchase and resale of original nets stolen from government stores, and importation and sales of fake nets. “We have our people who work in hospitals and other government offices who get us the real product but at cheaper rate. In order not to be caught, we give them exactly the same number of nets (fake products) more like an exchange which they keep with the original in their stores,” he disclosed. With such an exchange, dealers pay far less, Mr Odogu said. Nets distributed by the government should go for N6 million for 100 balls were they to be sold. Depending on the brand, one ball can contain from 30 to 100 nets. “When we buy the real and replace with fake, we don’t pay up to N1.5million for those 100 balls. This type is more convenient. But if you buy without restocking (with fake products), it is at least N3 million,” Mr. Odogu said. Depending on the brand quality -government supplied or fake – marketers can net between N3 and N6 million for a ball of net they retail. Like other racketeers in the fake net business, Mr. Odogu gets his products from China and supplies unsuspecting chemists and pharmaceutical stores as well as dealers who in turn resell to retailers. “When you come on board fully, you will be able to tell the difference between the real one and the other type” he assured the reporter, who again, posed as a prospective partner. But one of the many signs between the two types, Mr. Odogu’s assistant, who gave his name as Kenny, said, was with the washing and skin reaction on the user. “Even if you dry it (the fake) for 24 hours under a cool shade the way it ought to be done, it will still itch you and give you skin and other health reactions,” Kenny said. The net will also not last four years as expected. “This way, people will have to buy more nets and you will remain in business”. The skin reaction is what the Olatundes and their toddler experienced that night. The explanation by Mr Odogu’s assistant about skin effect somewhat confirmed explanations by experts on widespread complaints about skin reaction. The Director, Global Malaria Programme, of the WHO, Roberts Newman, had told PREMIUM TIMES that such prolonged reaction could only occur if something was wrong with the specific brand of nets. He called the trade of counterfeited nets a “crime against humanity”. “The skin rashes ought not to last long except there is something actually wrong with the net,” he said. 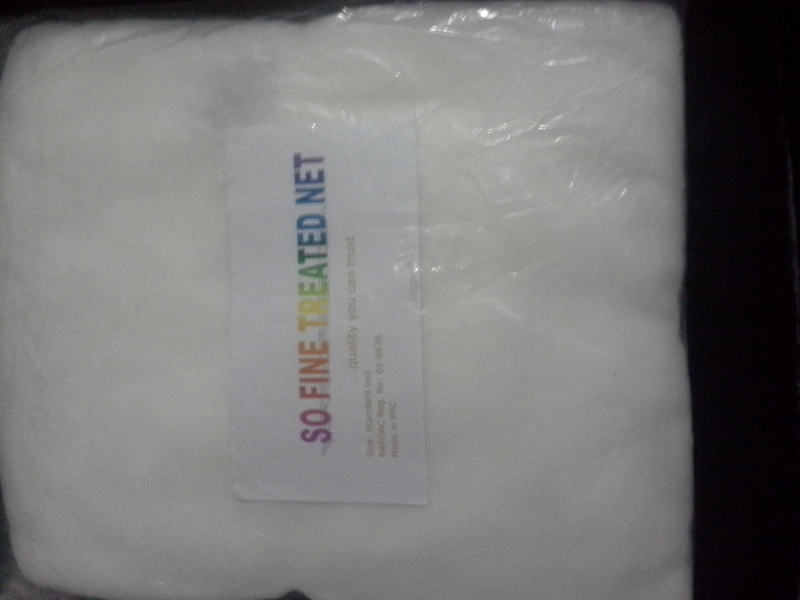 Other brands of nets in the market include Shielded Mosquito Net and So Fine Treated Net. NAFDAC however confirmed both nets to be fake. 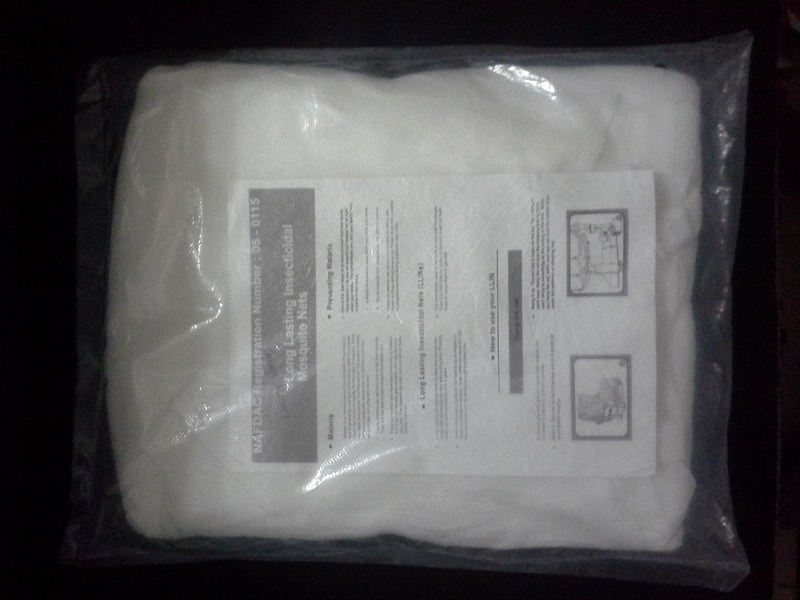 The shielded Mosquito Net with a brand payoff: “…durable lasting net even after twenty washes” bears the NAFDAC registration number 01-0877 and has the manufacturing address Wits 2050, Johannesburg, South Africa. When the Pharmacovigilante Unit of NAFDAC was contacted with the details, the registration number 01-0877 was said to belong to Indomie Instant Noodles, while the name Shielded Mosquito Net doesn’t exist in NAFDAC’s records. The other net, So Fine treated net’s registration number 01-0878 actually belongs to Tehado Table Water while the name So Fine treated net doesn’t exist in NAFDAC’s records as well. Also, all efforts by PREMIUM TIMES to locate the address of Shielded Mosquito Net was futile as the address very close to it is that of Witwaterstand University, South Africa which is: Private Bag 3, Wits 2050, South Africa. The net’s address in essence is non-existent. One of the most counterfeited nets our findings indicate is the PermaNet with NAFDAC number 04-7508. While both the original and fake have 16458 as their batch numbers, the genuine was produced on 03/2013 and would expire on 03/2017, the fake on the other hand was supposedly produced on 10/2008 with its expiration date indicating 10/20. Every net lasts for a maximum of four years before it expires or a maximum of 20 washes. Notwithstanding the Roll Back Malaria’s latest report published in July this year that malaria is down by one-third in Africa, it remains Nigeria’s number one, and one of the world’s most prevalent sources of illness. Caused by protozoan parasites of the genus plasmodium, the most serious forms of the disease are caused by plasmodium falciparum and Plasmodium vivax-both transmitted by female anopheles mosquitoes. Nigeria is well known for a high prevalence of malaria, which is also a leading cause of morbidity and mortality among its citizenry. Latest scorecard released by NOI Polls- a leading opinion polling and research organization which works in partnership with the Gallup organization (USA) to develop opinion research in Nigeria, on April 16th this year, showed that almost seven in 10 Nigerians (66%) had malaria at least once in 2012, and about 13% treat the ailment with the use of local herbs such as Agbo, Dogonyaro, Neem leaves and lemon grass. The former, accounts for over 45 percent of all outpatient visits in hospitals. On geo-political zones, malaria is more prevalent in the South than in the North. Again, the malaria scorecard indicated that majority of the residents in the northern regions; North-Central (43%) North-East (38%) and North-West (38%)) have not had malaria over the past 12 months while the southern regions; South-South (77%), South-East (75%) and South-West (64%) have the largest percentage of people who have had malaria more than once over the last 12 months. Also, statistics by the National Malaria Control Programme (NMCP) indicate that in 2010 the disease accounted for 25 per cent of infant mortality and 30 per cent of childhood mortality in Nigeria. One of the government’s response to malaria is the use of Long Lasting Insecticide treated Nets (LLIN), which protects users from mosquito bites. As at 2012, the the Nigerian government distributed no fewer than 51, 703,880 free insecticide nets worth over N30billion. As part of the strategic intervention, N1.8billion was equally earmarked this year for the purchase of 36million nets. Nigeria also got two grants from Global Funds valued at $225m as part of her Phase-2 grant in boosting malaria prevention and treatment in the country in 2013. This project is geared at reaching at least 80 percent of pregnant women and children below five years in the country. Unfortunately, with nefarious activities of touts and counterfeiters, much of the expenses might end up in the wrong hands as officials sell what should be free. With the counterfeiting, Nigeria also risks not meeting its MDG target 6 which has to do with the reduction of malaria. As a way of monitoring LLINs supply in the country, only certain insecticide treated nets and re-treatments kits were approved for use in Nigeria and these include: K.O net, K-O tab; Solfac net; Solfac treatment kit all supplied by CHI limited, Nigeria. Others are Iconet; Iconet treatment kit supplied by Sygenta Nigeria Ltd; Al-Cypernet; Al-Cypernet treatment kit supplied by Harvestfield Industries Ltd, Nigeria; PowerNet and PowerNet treatment kit supplied by Sunflag Ltd, Nigeria and PermaNet with Dangote Holdings Ltd, Nigeria as the supplier. Notwithstanding these efforts, our market surveys and monitoring since September 9th, 2013 when most schools resumed across the country, revealed that many parents bought fake nets for their children returning to boarding schools. Many schools operating boarding facilities across the country have made it mandatory for every returning student to resume with at least an LLINs, while parents have been purchasing PowerNet with NAFDAC registration number 14722753 and which was supposedly manufactured on 19/02/2012 but has no stated expiration date as well as batch number as the most purchased. But when NAFDAC was contacted with these details, the response was “PowerNet….does not exist”. Further investigations reveal that the original PowerNET has the NAFDAC registration number A5-0256 and not 14722753. The real product bearing the name PowerNet has 4722-3 as its batch number and was manufactured on 19/02/12 and last for only four years but like other nets would lose its efficacy before 2016 if washed more than 20 times. 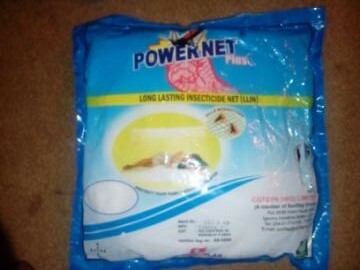 Another fake net being bought en mass is the PermaNet with NAFDAC number 04-7508 which was supposedly produced on 10/2008 with its expiration date indicating 10/20. This particular brand has a wide patronage in Kaduna state, especially at the central market. When confronted with the findings, Health Minister, Onyebuchi Chukwu, initially expressed shock and said it wasn’t possible. When however presented with the experiences of this reporter, he promised investigations. “There is going to be zero tolerance; ….it’s not an easy thing anywhere in the world to fight a fake product whether it is fake currency or fake commodities, it is not an easy thing. We are determined and NAFDAC is introducing a lot of innovative ways to monitor it,” he said. The Director, Global Malaria Programme, of the WHO, Mr Newman, said the WHO will be focusing more on net counterfeiting. “It is a crime against humanity and I hope every African leader note this and gear up to this potential challenge that could slow or stop us from even meeting the MDG target on malaria. The counterfeiters must be stopped before they get out of hands,” he said. Namibia’s Minister of Health, Richard Kamwi, said his country had similar experience. “One of the way to win the war against these counterfeiters is to push for good quality control check before shipping and after shipping,” he stated. Fatoumata Nafo-Traore, Executive Director, Roll Back Malaria, said the operational capacity, financial resources and delivery systems of commodities are crucial and need to be re-strategized if the war against the counterfeiters must be won.